The Grey Corries are a range of mountains in the Scottish Highlands to the east of Ben Nevis. 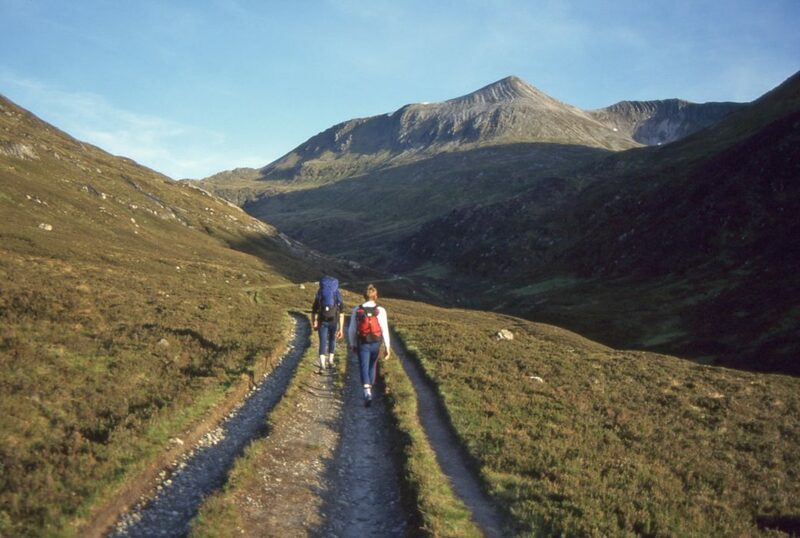 To walk the entire ridge, climbing all four Munros makes for a classic British mountain walk. 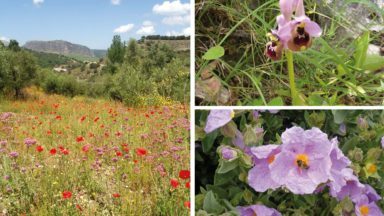 Our expert on the region, Ronald Turnbull, shows us some of the magic that can be found on these peaks and in the valleys. Coire an Eoin (see map below), at the western end of the Grey Corries, is the ‘Corrie of the Birds’. Well, on an April morning with quite a bit of snow about, I wasn't expecting to see any people. Then again, I wasn't expecting to see a small, brown, furry animal either, trotting across the yellow grassland at the 700m contour. Can it possibly be an otter? as I lifted my camera and hopefully snapped its picture. Otters live in streams catching fish rather than scampering around the hillsides 700m up. Do we think, a mink? I saved the pic to put on Facebook, and headed up onto the Grey Corries. Rising between a wide, dreary spruce wood to the north and the remote top end of Glen Nevis to the south, the Grey Corries are a bit awkward to get at. This adds solitude to their other excellent qualities. 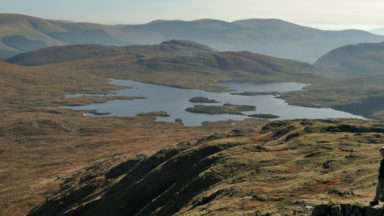 Qualities that make these four miles and three Munros into one of the top ridges in Scotland. And that's not just in altitude (though Stob Coire Claurigh is Scotland’s 15th highest hill) but in terms of steep cliffy sides, and some scrambly bits, and a narrow edge that swoops from summit to summit from dawn to dusk on a spring day. A handy bothy at one end and Ben Nevis at the other; and it's even got its own special sort of stone. The most straightforward access is from a rough track at the north-eastern end, above Coirechoille farm. There's informal parking here, a handy grass verge where you can lie on the sheep droppings and inspect your sump to see whether you just smashed it in. The Puggy Line is an old narrow-gauge railway used while they were carving the hydro tunnel from Loch Treig to the big pipes above Fort William. It's a handy way in along the feet of the northern spurlines, each of which is a way up, supposing you just want some of that main ridgeline above. 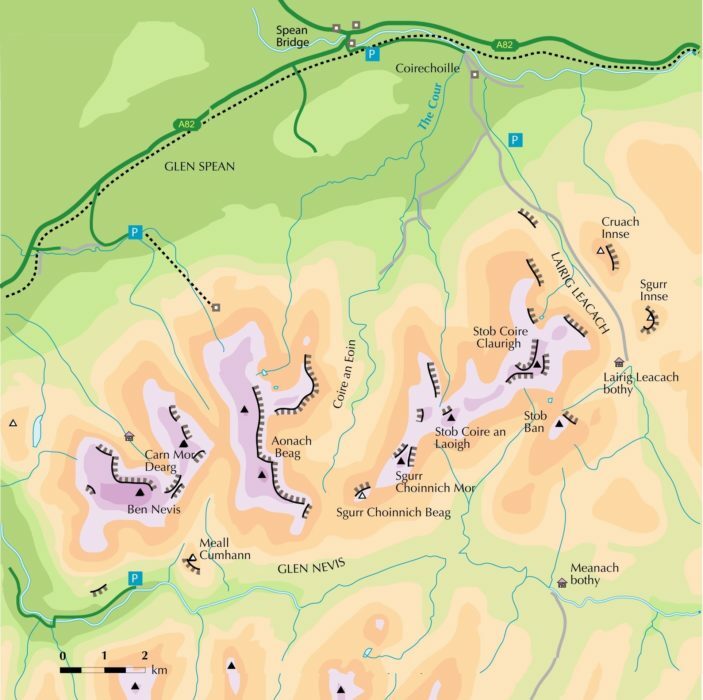 But Coire an Eoin is where you've gotta get to if you're a greedy guy who wants it all. It ought to be peaty bog, and ankle snatching heather, and an awful long way up. Ought to be, as the name says, strictly for the birds. But it's actually okay for human-being me – not to mention that mink – because of a small quad-bike track, and some gravel topped moraines. The great crag sides of Aonach Beag and Mor rise on the right, and pointy Sgurr Choinnich Beag, first peak of the Grey Corries, tempts up ahead. The special stone up here is called quartzite. Quartzite is quite different. It's a pale off-white, with an evil gleam where the sun shines. It's flat and smooth, but it breaks to sharp edges and cubes. The three grey corries of the Grey Corries are on the north side of the main ridge, as corries usually are. Their sides are bleak fields of blocks and boulders, topped with cliff. The long wiggly ridge above them is sometimes smooth as a pavement, but the sharp edges will slash your gaiters. Coming in from the west, you start with Sgurr Choinnich Beag. Small enough so it's not a Munro, its two cragged sides and narrow grass top are the reward for not being a Munro-bagger. Sgurr Choinnich Mor is an easy, grassy slope: living up to its name as the 'Big Mossy'. It's just past the summit that the east ridge narrows up to an elegant crest. In good firm snow, it's a place to delight in your command of the crampon. Or not, if you're not sure, when it comes to crampons, that you have quite commanded the things. It's once you're past it, easing onto Stob Coire Easain, that you look back and see the money shot: the so-called 'Big Mossy' looking slightly like something in the Alps. Money shot, in my case, quite literally. 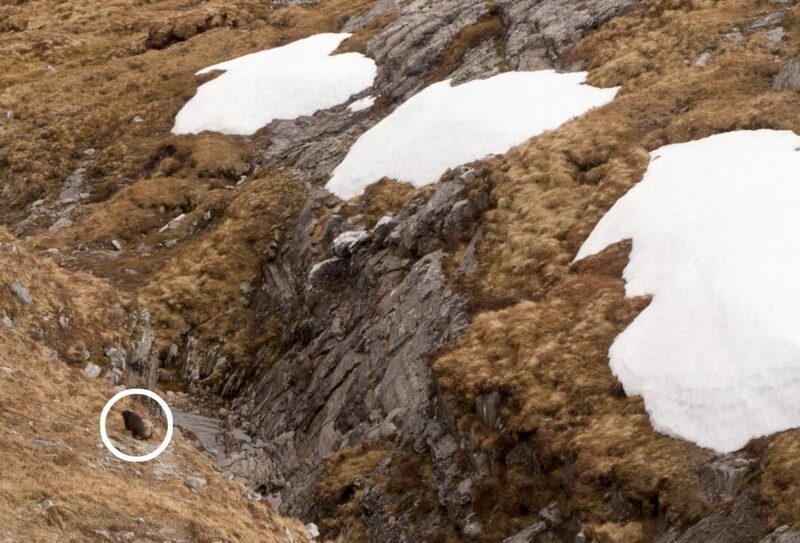 He fell the whole way down into Glen Nevis – but arrived at the bottom still alive. 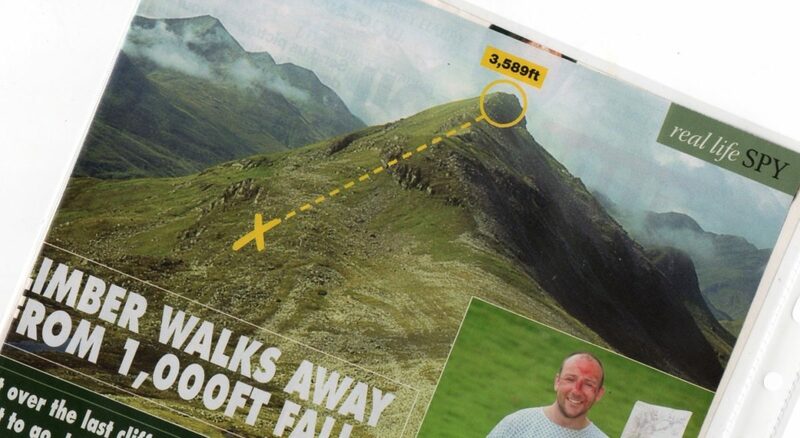 A miracle for him, and a moneyspinner for me, when 'Hello' magazine wanted an image of Sgurr Choinnich Mor, as the first one they found was one of mine. Is that it, then? 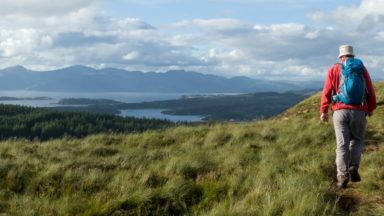 You can trickle gently down the northern ridgeline – or, indeed, either of the two previous northern ridgelines – as the Great Glen goes evening green then dusky grey, and the snowfields behind go pink all over. And wonder about that little brown beastie, back at the beginning of the day. Fortunately, I have nature-loving colleagues on Facebook. The creature is clearly a mink. We think. Course, that north ridge, conveniently straight down to Coirechoille, is not the only way down off Claurigh. 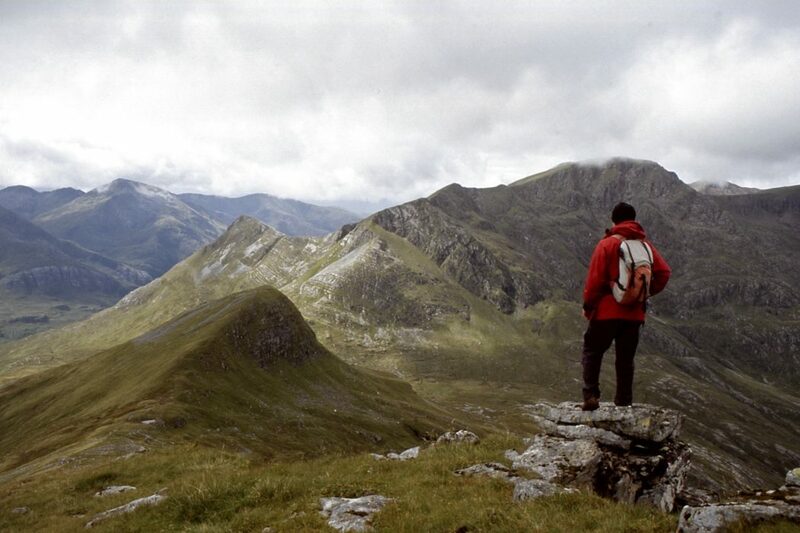 Munro-baggers will be looking south to snag the nuisance outlier Stob Ban. 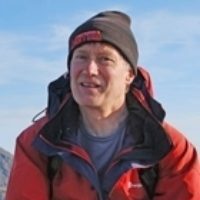 They’ll make their way down the grassy south ridge, and then have a truly horrible scree ascent to follow. Well, Munro-bagging has its own rewards, the thrill in the heart more than counterbalancing the sharp pebbles around the ankles. Anyway, Stob Ban could be a super snowslope, crisping up as the temperature falls: and the east ridge goes easy enough in the torchlight's flickering beam. But for those who pretend to not be baggers, the east end has a non-Munro reward to balance Sgurr Choinnich Beag in the west. Stob Coire na Ceannain gives you the very nicest little bit of Grey Corries Ridge to get there. And then its spur winds down into the Cul Choirean, the Little Back Corrie. Follow the stream down, with delightful waterfalls: admittedly this is less delightful in the dark. As I said, convenient access is from Coirechoille at the eastern end. Less convenient is from the car park at the top end of Glen Nevis, in around the south side of Ben Nevis. And really inconvenient is over the top of Ben Nevis, also adding in Carn Mor Dearg, and both of the Aonachs. The resulting 7-Munro outing has been christened the Lochaber Traverse. Up the Ben in the dark. Sunrise at the summit, and off the Ben goes a whole lot better as snow rather than boulders. Then it's the fabulous Carn Mor Dearg Arete, with the sun coming up ahead and shining up the grand north face behind you. The down and up again onto the Aonachs: that bit is jolly tiring, except that if you're really meaning to do this whole thing you can't be getting tired this early. The drop off the end of Aonach Beag is from the very steep corner below Stob Coire Bhealaich. When I came down it, the loose snow wasn't very nice at all. But I was young, keen and ignorant, so didn't know about the easier route from the col north of Sgurr a' Bhuic, where a wide gully leads down into Coire a' Bhuic. Then you get the whole of the Grey Corries without any of the preliminary forest trudge. Carry overnight gear and end at Lairig Leacach bothy, or else hike out under the moon to Spean Bridge. The Lochaber Traverse is a hill day to be proud of. At the same time – respect! 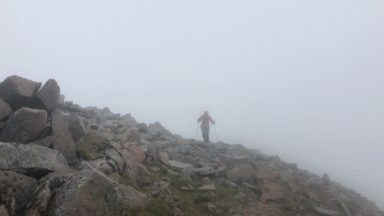 For the Lochaber Traverse is just the first half of the ultimate in such things, Tranter's Round around the Nevis watershed. That’s 18 Munro summits, starting and finishing in Glen Nevis, between midnight and midnight. Too much? 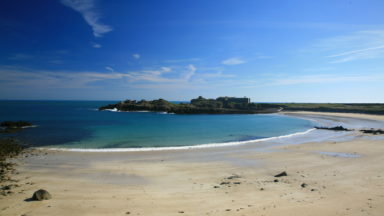 Well, the Tranter’s Round has been achieved in 19 hours in full winter conditions (Gay, Gay and Manson, February 2009). In February of 2016 Finlay Wild and Tim Gomersall did it on skis, in a mere 17 ½ hours. 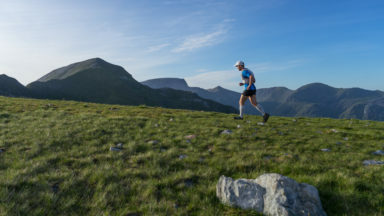 Hill runners attempt to go 5 Munros further (adding Beinn na Lap, Chno Dearg, Stob Coire Sgriodain, Stob a’ Choire Mheadhoin and Stob Coire Easain) in a 24-hour circuit of 90km/8250m of ascent, entitled Ramsay’s Round. I sent my mink pic to Scottish Natural Heritage at Fort William. They seemed quite pleased to be looking as something which wasn't a newt living on a building site. Coypu, wombat and bagpuss theories have, however, to be abandoned. They go with what I thought it was to start with – high altitude otter. A young male who's just come over the watershed looking for fresh territory. An otter on an expedition onto the Grey Corries ridge! And you know, it works just as well when you're a human being.